Author Interview: Philip Roth Often acclaimed as America's greatest living novelist, the Portnoy's Complaint author says he's officially retired from writing. Now, he says, when someone tells him a story, he no longer mines it for possible material. "I just listen, and it's quite nice." The Library of America recently published the ninth and final volume of a complete collection of Philip Roth's works, and a new documentary on PBS looks back on his prolific career. Philip Roth turned 80 years old this week, and his hometown of Newark, N.J. — a city he left long ago, but often returns to in his books — honored the man often acclaimed as America's greatest living novelist with a marching band, a birthday cake in the shape of books piled high and lots of symposia. The Library of America has just completed its nine volume complete collection of Roth's works — from 1959's Goodbye, Columbus to 2010's Nemesis -- and PBS is airing a film called Philip Roth: Unmasked, as part of its American Masters series. Roth tells NPR's Scott Simon that all the hoopla has been "quite wonderful." Roth made news last year when he announced his retirement from writing — in fact, he has a Post-it note in his apartment that says "the struggle with writing is over." Roth says he didn't quite realize at first that he'd retired, but the idea began to grow on him after he finished Nemesis. "I didn't know it would be my last book, but I was months trying to start something new, and I wasn't having any success, and it occurred to me I didn't have to do this anymore," he says. "I've been doing it since about 1955 ... and so I gradually stopped writing, and found that it was very pleasant, and indeed I haven't written for several years now." Any writing Roth does now, he says, is for his official biographer, Blake Bailey. "I think I work at least a couple hours a day answering his questions." Roth says that now, when someone tells him a story, he no longer mines it for possible material, no longer takes notes or analyses the narrative. "It was a constant mental activity, really. And now I just listen, and it's quite nice. I go home and go to sleep," he laughs. "It was on my shoulders all my life, so I really didn't even know it was on my shoulders. But it's, you know — there are many jobs that are hard, this is one of them, and I did it very diligently, and I struggled with it, which is what you do." Roth adds that he doesn't know any writer to whom the craft came easily. "Maybe John Updike. A story would just seem to come to him whole, you know, out of a personal experience. But the rest of us I think are not so lucky, and I had to work hard." Portnoy's Complaint rocketed Roth to literary stardom in 1969, an event he says changed his life drastically. "I had some money for the first time in my life," he says. "Then, it also produced a good deal of fame and notoriety both," as people often stopped him on the street to talk about the notoriously raunchy book. "They would sometimes shout from automobiles, they'd say, 'Hey Portnoy, leave it alone!' " It was enjoyable for a time, Roth says, but eventually he moved to the countryside to escape the constant attention. Roth's retirement means the end of his literary alter ego, Nathan Zuckerman, who appeared in many of his novels. "He's useful to me ... his mind was useful to me," the author says. 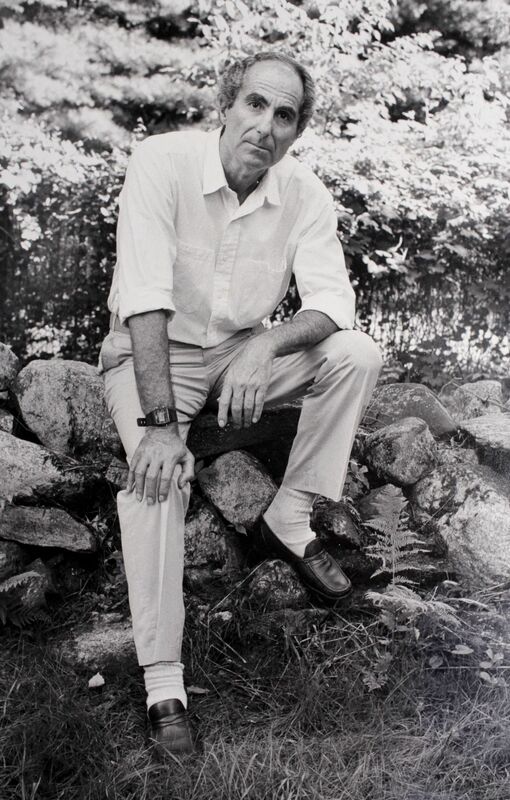 "He was a mediating intelligence in a lot of books, by which I mean he was a smart narrator." Though, Roth adds, it would be unwise to assume he and Zuckerman are exactly the same person. "I can't seem to do anything about it. Of course, you bank on your experience, but as a sounding board. It isn't that you write down what happens to you every day — you wouldn't be a writer if you did that. But it gives you a sense of, you know, from your experience what life is like, and you weigh what you invent against your sense of actuality." Though he's now retired, Roth says staying active as a writer into his 70s wasn't that much of a challenge. The only time he really struggled was as a beginner in the 1960s, "and I didn't know what kind of writer I was," he says. "I wrote one book, Goodbye Columbus, and that was one kind of book, and then I wrote a big tome, Letting Go — it was a big serious novel, I wanted to write a big novel, and that was an entirely different voice. And When She Was Good was a third kind of voice, and Portnoy's Complaint was a fourth kind. I didn't know what my voice was. So the first 10 or 15 years, you're making your way into your kind of literature, which you do not know about beforehand." He made many mistakes in those years, he says, "but as time goes by, I think I became a bit more certain of what my territory was." But success as a novelist doesn't make the job any easier, Roth adds. "Solving the problem of the book you're writing always remains hard work, and your progress is snail-like. Even if you write a book in two years, sometimes you get a page a day, sometimes you get no pages ... every sentence raises a problem, and essentially what you're doing is connecting one sentence to the next. And you write a sentence and you have to figure out what comes next or what doesn't come next." Those sentences have brought Roth plenty of fame and fortune and a trunk full of literary prizes. After a while, he says, the awards and the recognition cease to have real impact. "Some mean a great deal to you," he says, "and when the prize befalls a certain book that you like particularly, it's wonderful. But look, receiving a prize excites the child in you, and then you go back to work the next day." Now that he's not working every day, though, Roth says he's savoring a gentler pleasure: naps. "Let me tell you about the nap," he laughs. "It's absolutely fantastic. When I was a kid, my father was always trying to tell me how to be a man, and he said to me, I was maybe 9, and he said to me, 'Philip, whenever you take a nap, take your clothes off, put a blanket on you, and you're going to sleep better.' Well, as with everything, he was right. ... Then the best part of it is that when you wake up, for the first 15 seconds, you have no idea where you are. You're just alive. That's all you know. And it's bliss, it's absolute bliss."